This green goddess salad dressing is the best I've ever had. It also has no mayo or dairy and is full of healthy ingredients. 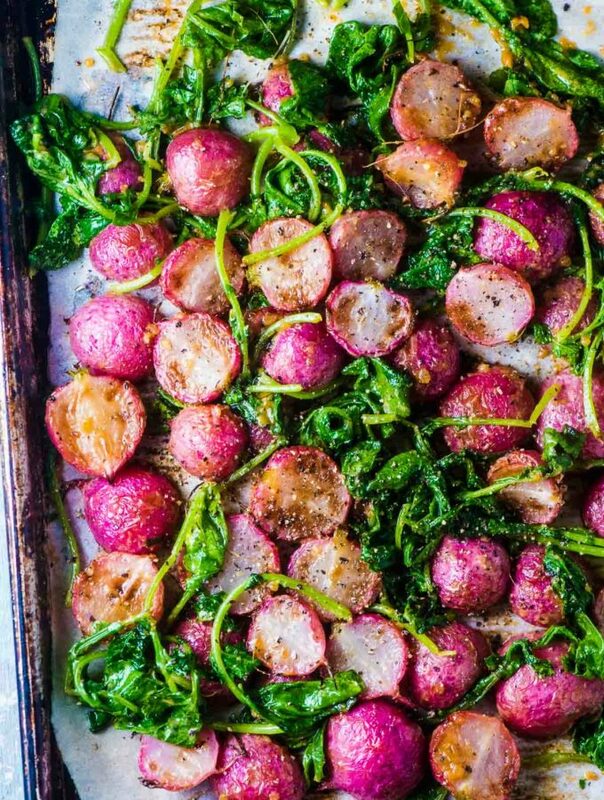 It's vegan + paleo + gluten-free + totally delicious. I could eat it by the spoonful! I need a moment while I devour green goddess dressing by the giant spoonful. I mean … while I lick the spoon off. Obvs. Who eats salad dressing by the spoonful? Ok ok … I've never been good at lying. I have, many times, put spoonfuls of this in my mouth. It's true. It's just so frickin' good! There's a picture on my phone of the recipe from my handsome man's mom. 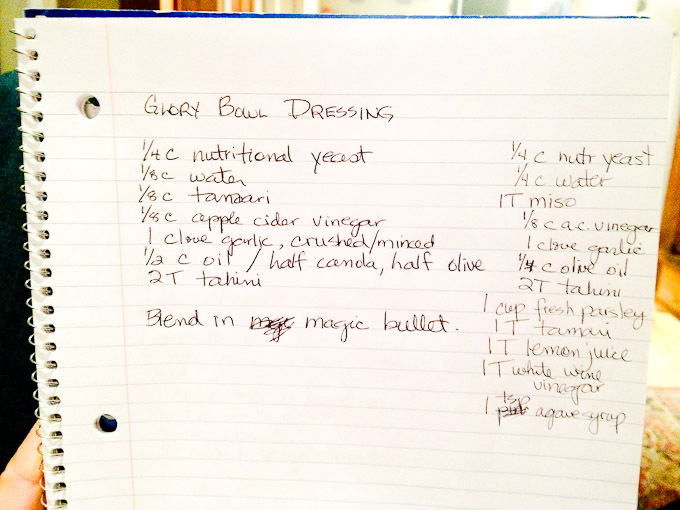 It's handwritten with a recipe for Glory Bowl Dressing on one side and her Green Goddess Salad Dressing beside it. I spend far too much time scrolling through bazillions of photos just to find that one. It's absolutely, out of this world, crazy delicious. 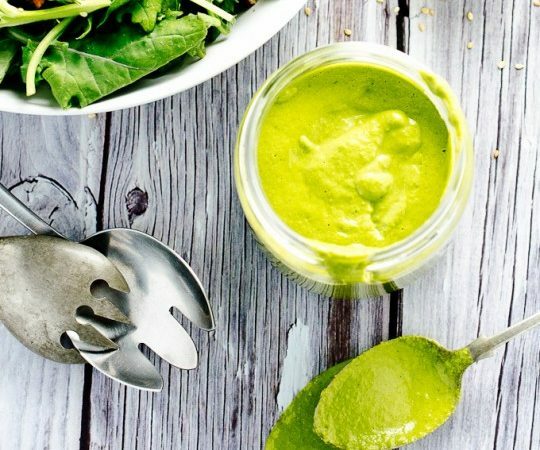 Unlike most green goddess dressings out there, this one has no mayo or dairy. There's nothing but good for you, healthy ingredients here. It's versatile. When I'm not eating it by the spoonful or drizzling it over a salad, I spoon it onto fish, dip chicken or tofu in it and have even spread it on a sandwich. It takes 5 minutes to make, including clean up. When you scroll down to the recipe, you'll see that the list of ingredients is a little long. Don't be intimidated, though, you probably have most, or even all, in your kitchen. The recipe is pretty forgiving, too. I typically just eyeball the ingredients, and it always works out great. There're two ingredients that you don't want to skip: the nutritional yeast and the tahini. Nutritional yeast is often thought of as a vegan cheese replacement. It looks like large, yellow flakes and has a cheesy, nutty flavor. You can find it in most health food stores or online on Amazon. It's also great sprinkled on rice or popcorn. Tahini is ground sesame paste. Think peanut butter but made out of sesame seeds. It adds a rich, nutty taste to anything you add it to. You can find it at most grocery stores or on Amazon. PS. If you want your green goddess salad dressing to pour like it does in the picture below you'll have to thin it with some water. I don't think it needs to be thinned, though, unless you're trying to snap a pouring shot. If you love this Green Goddess Salad Dressing as much as I do, don't forget to give it a 5-star rating in the comments below! Place all the ingredients in a blender and blend on high until smooth. I can’t wait to try this today! I have everything except for the miso paste. Should I use a little extra tamari to make up for the absent miso paste? Hello. Thanks for sharing. How long does this keep for in the fridge typically? Thanks! Look forward to trying it. Just made this and not only is it a beautiful colour but it tastes fantastic! I’m wondering if it’s in an airtight container how long it can be kept in the fridge for, if at all. Thanks! I absolutely love this dressing. I feel totally guilt free eating it. I’m so happy you like it!!! Sooooo good!! I used a mix of parsley and cilantro, with a sprig of tarragon thrown in there. The dressing thickens as it sits. I ate it on salad last night and when I woke up this morning, I was already planning my next salad with it ? Thanks for the awesome recipe! I’m so happy you liked it! And nice call on the tarragon. I bet that was delicious! Absolutely amazing recipe. I am not vegan but I gave it a try anyhow. WOW I’m sure glad I did. Better than all the ones I’ve tried. 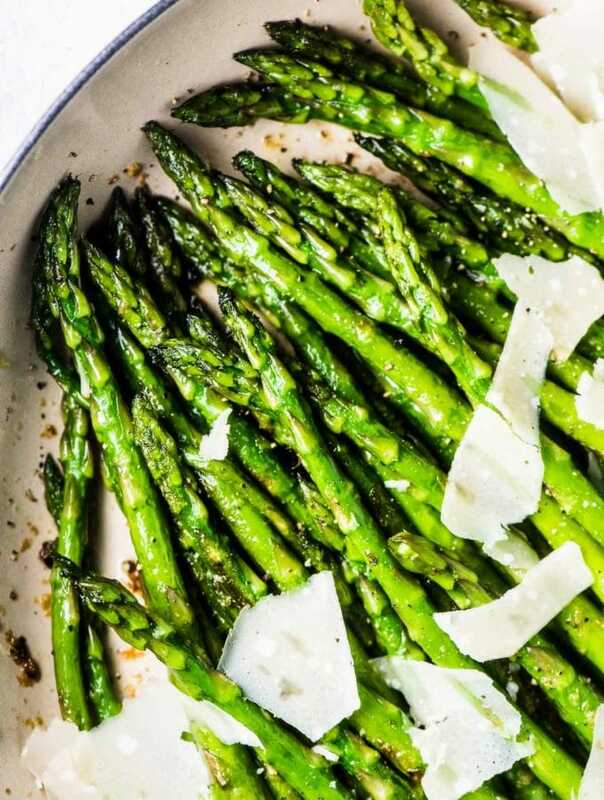 I’m a little obsessed on finding ultimate recipes for everything so I have tried quite a few. I’m so happy you gave it a try! I’m not vegan either and it is one of my favorite salad dressing recipes ever! I wasn’t able to pick up the miso paste today, so I went ahead and made it without. I’m wondering how much of an impact this would have in the taste? Also, I am not a food person – too lazy :). So making dressing is out of my area of expertise, I’m wondering if it’s normal to see little pieces of parsley after blending it? It’s a magic bullet? It’s not mine, but I think that’s what it is. This may be a stupid question, but do I blend the parsley before measuring the packed cup? I love this recipe. Question: will it freeze well? I’ve never tried freezing it so I can’t say for sure. It’s definitely worth a try! Oh my…..!!! This is the second time I’ve made this and it’s definitely going to be an all time favorite. The first time, I didn’t have parsley, so I substituted cilantro and used it on veggie tacos. Delicious! This time, I made the traditional recipe, but skipped the nutritional yeast (due to allergy). I poured it liberally over a yummy salad and…, I’ve never done this before, but when I was finished, I looked right, then left and quickly licked my plate! Brimming with goodness and hits all of the taste senses. Awesome!!! On veggie tacos? That’s amazing! I’m so doing that. Super happy to hear you like the recipe. It is my fav salad dressing recipe! I have a dairy allergy and I love nutritional yeast, tahini, and parsley. Sounds like a great combo. I am going to make this tonight! I hope you like it as much as I do. It is my absolute fav!! Wow….just made this yesterday….it is remarkable! Being vegan, it can be hard to find a dressing that doesn’t have dairy in it and a bunch of weird ingredients….I cannot wait to put this on tofu. Thanks for the wonderful recipe! if you’re not a parsley fan would it drastically change the flavor to sub spinach or do you have another recommendation for a substitute? thanks! Spinach would be a great sub! I see that your typed out list is a bit different than the picture of the paper. Do you prefer maple syrup over the agave. Also I didn’t see the soy sauce in the picture. Is the soy an addition? Which do you like best. The hand written recipe or typed out recipe? Good eyes on changes in the recipe! Tarmari and soy sauce are almost exactly the same thing. Tamari being a slightly less salty, Japanese-style soy sauce. I usually have regular soy sauce on hand so that’s what I use. HA ! I will be using Alaskan Beech Syrup as a substitute, sent down to me from my son in Fairbanks, for our next weekend neighborhood card game / dinner night I have a kale with pickled onion slices, Fuji apple slices, roasted carrot pieces salad recipe which calls for green goddess. I’d love to hear how it goes! That beech syrup sounds incredible! I have really been wanting to try this since I saw it. I bought nutritional yeast and aminos on my last trip back to civilization. 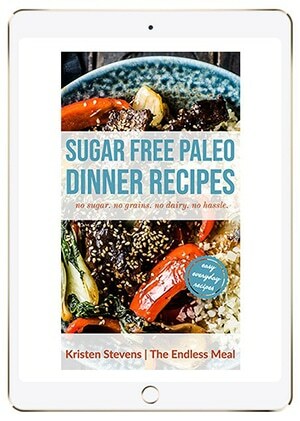 I doubt I will ever find miso here, but I can do the paleo version, which is probably better in. my case. It’s awesome on popcorn, too. I heard it was good on popcorn, will have to try that. I still have quite a bit of fresh parsley in my garden (who knew it was tough and could handle so much cold?!) and this was the perfect thing to do with it! Delicious! That’s amazing that it was still in your garden. I had no idea it was such a hearty veggie! I just made this and it tasted incredible. Thank you! So happy to hear you liked it!!! I tried a similar version but without the yeast. Now that you have specified not to skip that ingredient, I am intrigued to see how it turns out with the addition. Definitely try it with nutritional yeast. It’s so good! I made it this morning, it’s very good indeed!! I’m so happy to hear you like it!! This does sound insanely delicious! Tahini and nutritional yeast always go fabulously together in dressings – and I bet the parsley adds such a nice fresh flavour to it. Looking forward to trying this! No dairy? Really? And it’s the best?? Hmm, you have me very curious!